Project Gridless: The Heart of Robin Hood / Merry Survivalists? Royal Alexandra Theatre (260 King Street West) from December 23, 2014 - March 1, 2015. Ticket prices vary between $45 and $105. 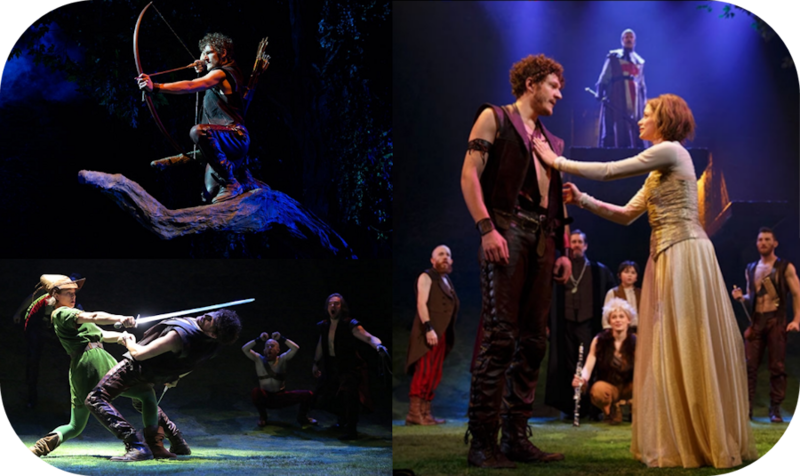 History is full of theatre productions of Robin Hood and you can read up on the history of Robin Hood in theatre productions on Mirvish.com. Expect to see lots of archery, swordplay, swashbuckling and singing. And possibly even some survivalism. I don't know. I haven't seen it yet, but I will be. The set production alone should be interesting judging from what I have seen on YouTube (see the video of the Robin Hood set from when it was in Manitoba). Was Robin Hood and his Merry Men survivalists? It is an interesting idea. A band of outlaws / highwaymen living in the woods, preying on the rich who pass by the roads nearby. 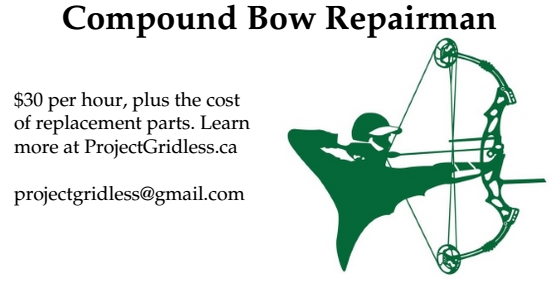 Wood skills, archery skills and a dose of swashbuckling. 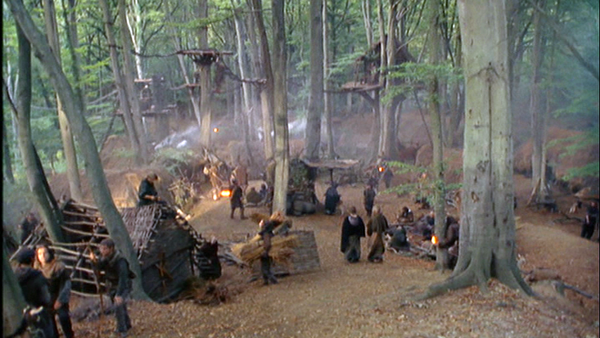 If you watch Robin Hood: Prince of Thieves (1991) the 'Merry Men' even build treehouses and bridges in the trees, effectively a village in the trees for their defense. 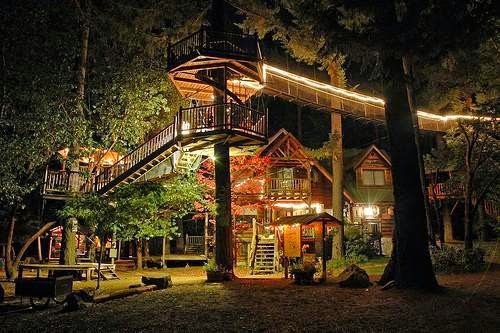 Sort of like the treehouses below. 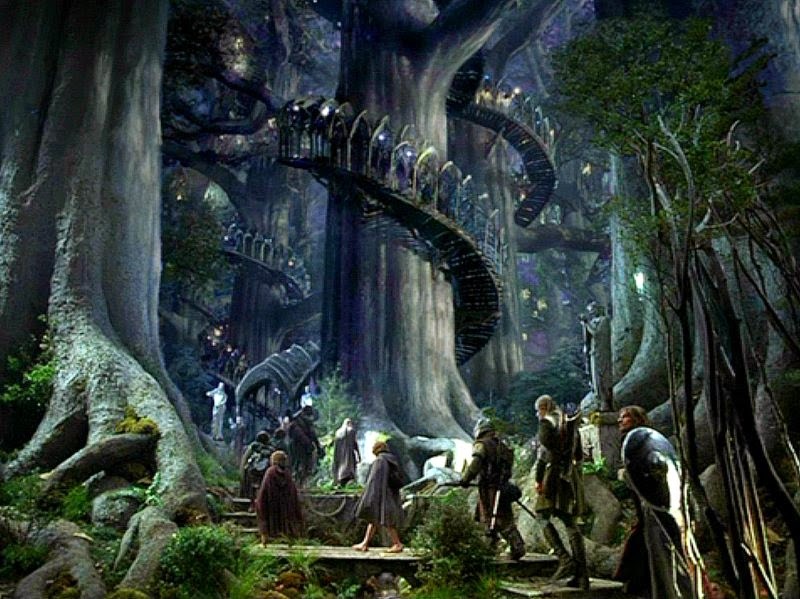 Given time such a 'village in trees' might eventually look more like Lothlorien (the elven town from The Lord of the Rings). We leave you to decide whether Robin Hood should be considered to be a survivalist. If such a person ever existed.